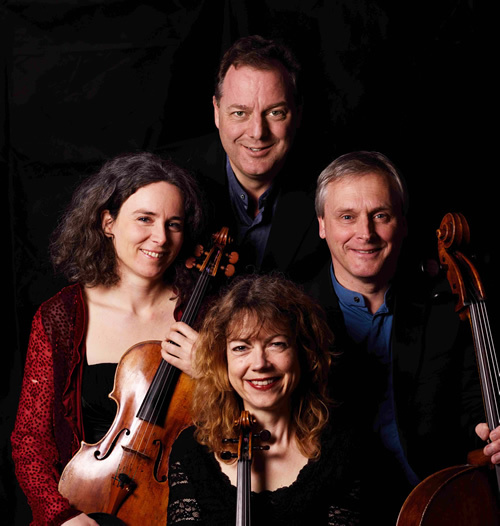 The Primrose Piano Quartet was formed in 2004 by pianist John Thwaites and three of the UK’s most renowned chamber musicians (Lindsay, Allegri, Edinburgh, Maggini Quartets). It is named after the great Scottish violist, William Primrose, who himself played in the Festival Piano Quartet. Alongside their performances of the major repertoire, the Primrose Quartet have researched widely the forgotten legacy of 20th century English composers, and have revived a number of remarkable and unjustly neglected piano quartets. Their award-winning recordings feature works by Dunhill, Hurlstone, Quilter, Bax, Scott, Alwyn, Howells and Frank Bridge. Sir Peter Maxwell-Davies wrote his Piano Quartet for the Primrose in 2008, which was recorded in 2009 for the Meridian label. Also in 2009 an exciting commission, born out of their strong Scottish connections and timed to celebrate Robert Burns’s 250th anniversary, was the “Burns Air Variations”. The Primrose invited a number of their composer friends to write a short variation each on Burns’ “By Yon Castle Wa”, and the resulting 30-minute work received premières in Tunbridge Wells, at the Sound Festival, and at Kings Place, London. Sally Beamish, John Casken, Jacques Cohen, Peter Fribbins, Francis Pott, Zoë Martlew, Piers Hellawell and Stephen Goss are among those who contributed. Two new CDs were recorded in 2010 for the Meridian label: Richard Strauss Piano Quartet, Violin Sonata and Cello Sonata; Maxwell Davies’ Piano Quartet, the Burns Air Variations and a previously unrecorded Piano Quintet by Dmitri Smirnov. 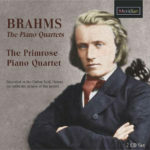 In 2011 the Quartet recorded a CD of Fauré and Brahms piano quartets, performed on a piano chosen by Brahms, and a CD of Schubert chamber works followed in 2014. For 2014/15 The Primrose were selected for the Making Music Concert Promoters’ Network for a third time, and they will be featured again in 2017/18. 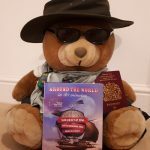 Another busy performing season both in the UK and abroad included an extensive tour of Denmark, a visit to Germany and the première of a new piano quartet written for the Primrose by leading British composer, Anthony Payne at London’s Kings Place. This season also saw the recording of a new CD of Elgar, Payne, Bowen with a recording of Brahms chamber works planned for 2017. Their own festival in the Hampshire Village of West Meon is now in its sixth year, and they were appointed ensemble-in-residence at the Battle Festival in 2016.